Thinking about adding a dog to your family? Dogs have long been considered man’s best friend, and a large Swedish study suggests that they may have a beneficial role to play in children’s health as well. The study, published in JAMA Pediatrics found that having a pet dog at home was linked with a 13% lower risk of asthma in later childhood. Children who had grown up on a farm surrounded by multiple animals reduced the risk of developing asthma by 50%. Multiple studies have examined this link between asthma and/or allergies and the presence of animals in the home with mixed results, but this study, which tracked more than 650,000 children’s early years, adds to the evidence that early exposure to pet dander and dirt may actually boost children’s immune defenses. While this news may not inspire expecting parents to buy a dog (or a farm) to improve their baby-to-be’s health, pet-lovers can feel comforted that their fur baby’s hair about the house is actually contributing something beneficial to the family. Thinking about adding a dog to your family? 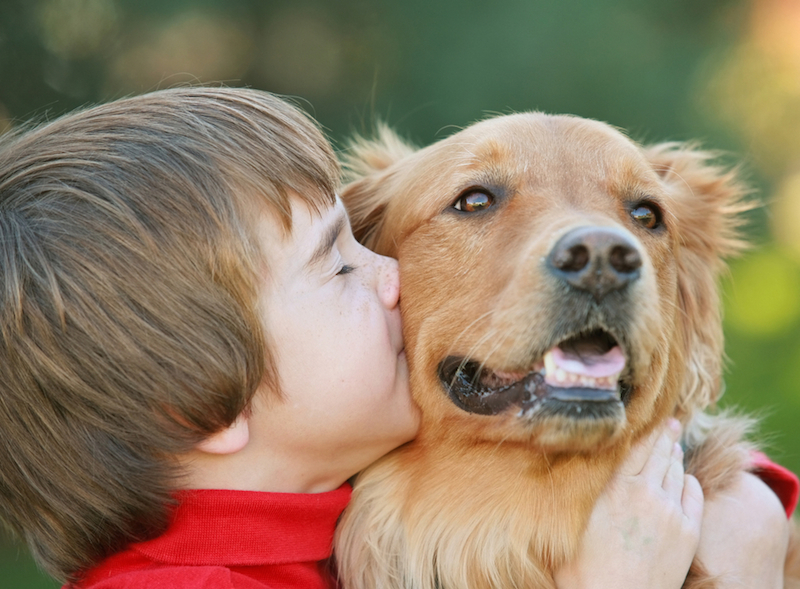 Dogs have long been considered man's best friend, and a large Swedish study suggests�that they may have a beneficial role to play in children's health as well. The study, published in JAMA Pediatrics found that having a pet dog at home was linked with a 13% lower risk of asthma in later childhood. Children who had grown up on a farm surrounded by multiple animals reduced the risk of developing asthma by�50%. Multiple studies have examined this link between asthma and/or allergies and the presence of animals in the home with mixed results, but this study, which tracked more than 650,000 children's early years, adds to the evidence that early exposure to pet dander and dirt may actually boost children's immune defenses. While this news may not inspire expecting parents to buy a dog (or a farm) to improve their baby-to-be's health, pet-lovers can feel comforted that their fur baby's hair about the house is actually contributing something beneficial to the family.